How often we hear this from our visitors? Oh my, all the time! 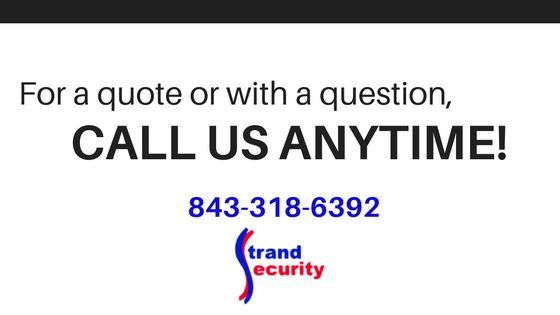 Do you hear the same thing about the Grand Strand? We hear this from people on vacation who visit the Grand Strand and fall in love with our beaches, our way of life and the laid back attitude found in and around town. However, living in a place you vacation is a totally different thing than visiting, as we all know. Case in point; New York City is a great place to visit as a tourist, but how many of us really want to go live in Manhattan where the cost of living is high, traffic is crazy and one of the few places to go play outdoors is in Central Park? We love our Grand Strand for all that it is and all that it offers. Want To Move To The Grand Strand? If you are someone who is considering, or is ready, to move to the Grand Strand, or you know someone who is contemplating making this move, this article is for y’all! 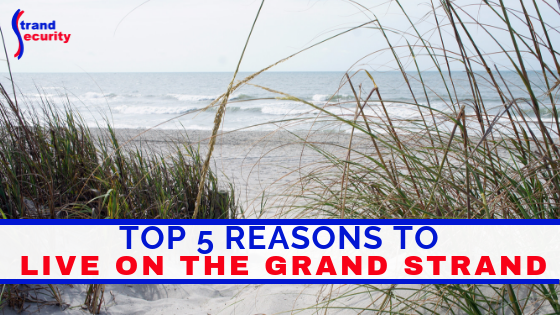 In this article, we will give you five reasons you too should become a Grand Strand resident and move to the beach; the best beach in South Carolina, hands down. Depending on where you are coming from, the weather can’t be beat! If you are contemplating a move here from ‘the north’, South Carolina and the Grand Strand will offer you sun, sun and more sun and very little, if any, snow and ice. Certainly not enough snow to have to own a snow shovel or a windshield scraper. Locally we joke that we have a short Spring and almost immediately move from winter to summer and that’s no lie. Springtime is glorious and our weather is why millions of golfers descend on our town in the springtime (and the fall) to play on our beautifully maintained golf courses. A forecast of sun, decent temperatures, and low humidity make for a perfect golf paradise. Summers are hot and humid, but all homes and businesses have central AC and we have pools and the beach! The Grand Strand sports 60+ miles of beach and thousands of pools! If you love to play golf, swim and outdoor living, come live on the Grand Strand. We enjoy the outdoors all four seasons! Have we mentioned our beaches yet? They are beautiful, plentiful and diverse. If you like busy beaches with activities like parasailing and banana boating, try our Myrtle Beach and North Myrtle Beach beaches. If you want nature and the beach, try the beaches at our two State Parks; Myrtle Beach State Park and Huntington Beach State Park. If you like more secluded beaches, visit The Point in Pawleys Island or Cherry Grove beach. Fishing can be done on all beaches and from many piers. The beach offers great family entertainment; how about enjoying the beach year around? Come move to the Grand Strand. If neither the beaches nor the weather has convinced you of a fun lifestyle, maybe the entertainment options will. Broadway at the Beach, Barefoot Landing, Tanger Outlets, Market Common, you name the type of entertainment, we have it. Go Karts, Science Center, Aquarium, Putt-Putt, Bowling, Rides, Wheels, Games, Movies, and much much more! Anytime you want to get off the beach, come to town to have fun. Myrtle Beach and the Grand Strand are still growing and growing. New infrastructures, new hospitals, new schools, new restaurants, shopping malls, and new entertainment; in the nearly 10 years we’ve lived and worked here at Strand Security, we’ve seen lots of growth and change! There is lots of new construction. The housing market is great for buyers – homes are still affordable and there are many new neighborhoods popping up. If nothing else will entice you to make the move to our beautiful area, the low cost of living on the Grand Strand should do it! Compared to other states, our cost of living expenses are lower than most and there are plenty of jobs to be had for those who are skilled and willing to work. Property taxes are low and we have one of the best merit-based scholarship systems for college-bound students in the USA. If you have children, this alone could make a move to the Grand Strand attractive. What is Not To Love About the Grand Strand? We absolutely love where we live and work, play and relax and we know you will too! Come join us permanently and when you do buy a home, let us know how we may help make your move safer and more secure. « Join The Drive-N-Live Event at the Fun Warehouse!